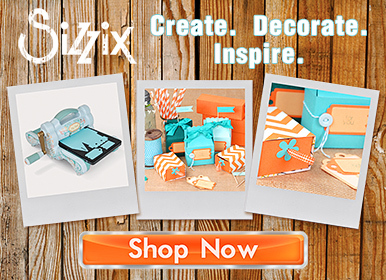 Welcome friends to the Sizzix Quilt Blog Hop! A bunch of us got together and decided to make some really great quilted projects to show you just what the Sizzix Big Shot Pro and fabi Quilting line can do! You'll get firsthand project ideas featuring Sizzix fabi dies as well as projects made using the newest Bigz Pro Quilting collection with designs by the artist, author and quilter Victoria Findlay Wolfe! I chose to make a quilt using the Bigz Pro Wave die by Sizzix, this is part of the new collection by Victoria and is part of the Bigz Pro Quilting series. This die is only compatible with the Big Shot Pro Machine, because of the large die size. This was my first project with the pro machine and I absolutely loved it. Having much larger pieces makes for much faster quilt tops! Piecing the quilt was a breeze using my awesome glue tips that my friend Cristy sells in her shop. Using washable Elmers glue, microfine glue tips and a hot dry iron there were absolutely zero straight pins used on this quilt. I call that a miracle if you ask me! Iron a middle point where you will be joining your two pieces. Lay them on top of each other, middle creases touching right sides together. Starting from the middle crease working your way out, draw a fine line of glue. Heat set with a hot dry iron from the middle to the outer edge. Finish by doing the same to the other side, working from the middle out. Using a 1/4" seam allowance stitch around the curve. Iron with seams going one direction. All of the glue will wash out when you wash your final quilt creation! Here are some finished shots of the final quilt! I decided to go with a white binding and backing, and did a curved echo stitch next to the wave shape using my walking foot. We had a wonderfully snowy day before my photo shoot down the street next to Lake Michigan. The white setting really makes the blues in the quilt pop! The fabric I chose for the quilt is all Kona cotton solids, a Poseidon bundle that I have been holding onto for a while. In addition to the amazing projects that will be shared over the next few days - Sizzix will also be giving away a GRAND prize! You can find out how to enter below! Here is a full list of all of the bloggers in the hop - so excited to see all of their amazing work! January 17th Nicole Daksiewicz - that's me!